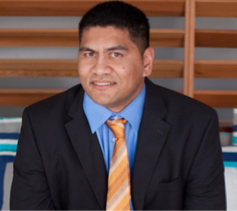 Isi Mataele is an experienced attorney handling criminal, family, and civil cases. He started trying cases while working for the prosecutor's office in Hawaii, trying over twenty cases before he graduated from law school. He was praised by all who supervised him as a gifted litigator. While in law school his studies included criminal procedure, criminal sentencing, family law, health law, international intellectual properties, civil rights, business associations, secured transactions, civil trial clinics, legal aid clinics, and many others. After graduating from a top tier law school, he moved to San Diego, California. He entered the work field working for major companies such as Lehman Brothers in the business field before practicing law. He has made hundreds of appearances in state and federal courts throughout California from San Diego to Alameda County. He has experience with state administrative boards as well as federal and state appellate courts. He has successfully litigated criminal and civil jury trials for his clients. He also has extensive experience in domestic and guardianship trials on all issues. He is passionate about protecting families especially those involving allegations of domestic violence and child abuse. He believes in working hard and being aggressive while maintaining civility. He is comfortable with handling even the most complex issues in a case. He understand that every case is the most important case for each individual client.